Two races of 2018, two final lap battles and two different winners has been the story for the FIM Supersport World Championship machines so far, and the riders head to MotorLand Aragon with plenty to play for this season. Just 16 points spilt the top four riders of the championship, and this is clear out on track. Last season Aragon threw up a big curve ball but also some stunning racing, and with the reigning world champion Lucas Mahias (GRT Yamaha Official WorldSSP Team) looking to fight back, there’s set to be a storm brewing. Frenchman Mahias is on a roll this season, with an electrifyingly consistent pace that he was unable to turn into a victory in Thailand, he will not be slowed down. Beginning his title defense in the best way possible – with a victory – he has an 100% podium rate so far this season but will be hungry to be back on the top step in Europe. The victor around MotorLand Aragon last year - his debut win in WorldSSP - he will no doubt bring forward the confidence gained from the memories of last season and bring a strong fight. Fellow Yamaha rider Randy Krummenacher (BARDHL Evans Bros WorldSSP Team) took a sensational victory in Thailand and has slipped back into the WorldSSP series very swiftly, putting up a strong battle after a year away in WorldSBK. Clearly comfortable with his new team he will be looking forward for the return to Europe and putting on a good show for the fans. His past pace around MotorLand took him to second position on the podium in 2016, and with two points scoring finishes last season he will no doubt be keen to get racing underway. Stepping in for the injured Kenan Sofuoglu is Sheridan Morais at Kawasaki Puccetti Racing, with the South African set to make two appearances – at MotorLand Aragon and Assen – it will be a good challenge out on track. Certain to be fighting at the front, the experienced 33 year old put up a strong battle at the front of the field last season, and taking a second position in 2017 and a third in 2012 around MotorLand, he will no doubt be a strong contender on the ZX-6R. Andrew Irwin (CIA Landlord Insurance Honda) looks set to continue his debut season in WorldSSP after being sidelined with injury in Australia, and will be on the hunt for his first points scoring result of the season. Yet to visit MotorLand Aragon, he will relish the challenge ahead. Raffaele De Rosa (MV Agusta Reparto Corse by Vamag) will return to MotorLand with WorldSSP, as he sticks with the series for 2018, making steps with the Italian manufacturer. His record around MotorLand is a mixed one, with a sixth position secured in 2014 and he will hope to impress with his new team for 2018. 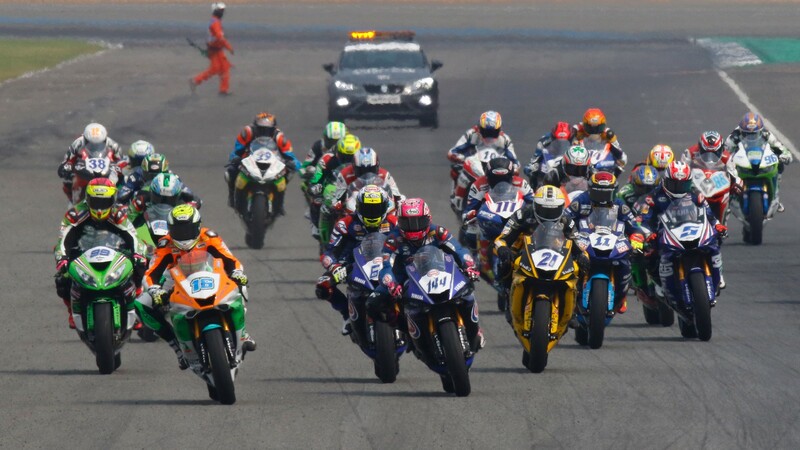 On top of the full WorldSSP field, excitement will be added as the European Supersport Cup is welcomed back into the series with the European leg of the championship beginning. With six riders, including WorldSSP300 runner-up Alfonso Coppola (GRT Yamaha Official WorldSSP Junior Team), there will be even more on track action to keep an eye on. WorldSSP action commences at 10.40LT (+2 GMT) on Friday, before Superpole at 14.00LT on Saturday and the much anticipated 16 lap race around MotorLand Aragon on Sunday at 11.30LT.